After much dallying, the Ministry of Defence has finally produced what was touted to be a "path-breaking" Defence Procurement Policy, 2016. Only, it is long on verbiage and short on political courage and ideas. Crucially, the DPP document is missing the appendices and annexures that were supposed to constitute its backbone. They were to provide guidance to the domestic defence-industrial base and foreign vendors, who are eager to cash in on the $150 billion to be spent on the much-needed modernisation of the armed forces during this decade. The most confusing part of the DPP is also one of its most important: "Buy Indian - Indigenous Design, Development and Manufacture". This chapter is translation into coherent policy of Prime Minister Narendra Modi's 'Make in India' mantra. It lays down that defence equipment designed and developed outside the country must have 60% of indigenous components, that's 60% of the total contract cost has to be spent on India-made components. For the equipment designed and developed in India, this limit is 40%. From this, it seems indigenous design and development of equipment is not really a priority for the defence ministry; it does not seem to have confidence in the Indian vendors' intent or capacity to design and develop. It apparently believes the Indian firms would just buy the 60% indigenous components rather than do the hard part of the job - design and develop. In other words, 'Make in India' remains just another 'Jumla'. The scope for cloak and dagger deals in all categories has been retained - a reflection of the lack of political courage- so that arms agents can have free play, albeit behind the veil. 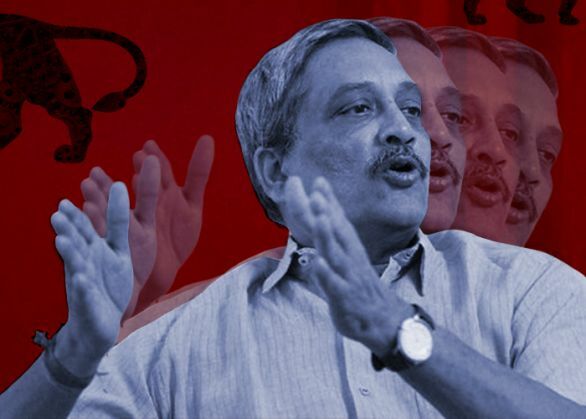 The formulation of the policy provided Defence Minister Manohar Parrikar a golden opportunity to legalise the arms agencies and thus take away the ridiculously hidden component of Indian arms trade. The reason it's ridiculous is that the world has moved far ahead on this front. Nowhere in the world are arms agencies proscribed, for everyone knows they play a key role in the arms trade. Yes, they do engage in under-the-table deals, but had they been decriminalised in this country too, their "rent-seeking" could have been controlled and regulated.